As our family here at Brezden Pest Control prepares to celebrate Thanksgiving and 35 years of being your local pest control experts, we are thankful to everyone who has made our success possible. 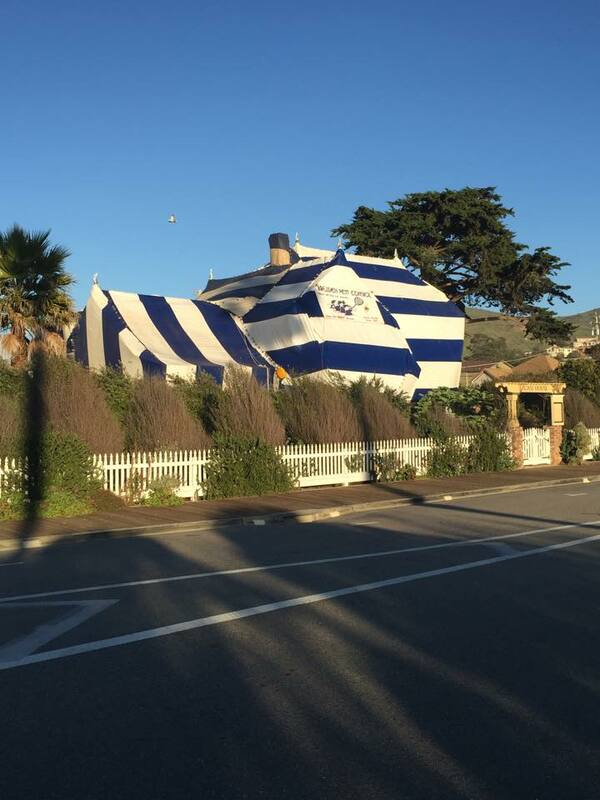 We started as a small home pest control company, working out of our garage in Cayucos. The business grew as customers responded to our outstanding customer service and professional pest control methods. We moved to San Luis Obispo in 1989, and have been happy to call this home ever since. We would like to take this opportunity to thank our employees, vendors, community members and, most importantly of all, our customers, for helping to make our success possible. We promise to continue providing the best in pest inspection and pest control services. Call Brezden at 800-464-9446 to schedule an appointment before your holiday guests arrive. We can perform a termite inspection, and will also determine whether your home or business is in need of our rat control, ant control, or bird control services. 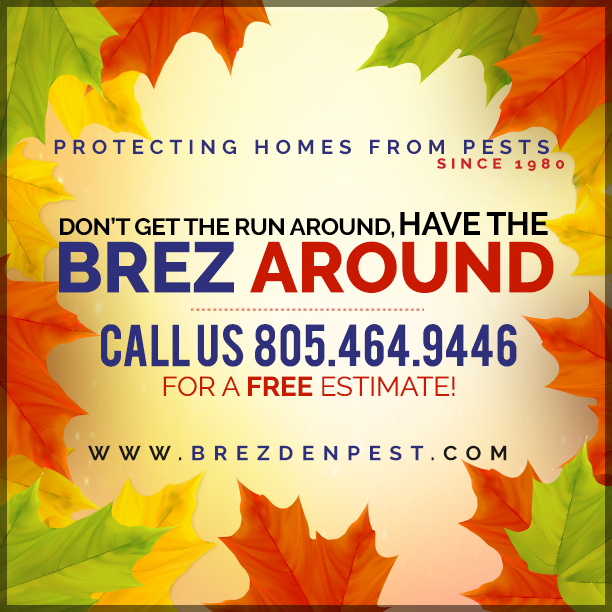 Don’t let unwanted pests invade your home this Thanksgiving – have the “Brez” around and you won’t get a runaround! Watch those crumbs: With all those guests and all that fabulous food, crumbs are bound to happen. But they can be inviting to ants, mice and other critters. Make sure to pick up any large food items and sweep or vacuum the crumbs completely. Check the pantry: There is so much food, and so much of it is prepared in advance, that we can sometimes get a little careless about proper storage. Make sure everything you are keeping for the big day is stored properly. Use tightly-sealed containers and clean up often during meal preparation. Freshen up: Smells can provide a strong attraction for pests. Don’t let odors linger in the kitchen and dining room. Clean or use air fresheners to make your home less appealing to unwanted intruders. Minimize the eating area: Thanksgiving usually calls for more guests than usual, but try to contain the food to a specified area in your house. This will make clean-up much easier, so that you aren’t setting out the pest welcome mat. Contain the trash: Don’t make it easy for mice and rats to get into your garbage. Take your garbage outside, and use tightly sealed containers to hold all of your trash bags. Watch the storage areas: Food isn’t the only thing that can bring pests into your home. As you are making your holiday preparations be sure to check the attic, basement, garage and exterior of your home for any sign of pest infestation. Better yet, call Brezden Pest Control and let us perform a thorough pest inspection, so you and your family can enjoy the holidays without worrying about what else is joining you! 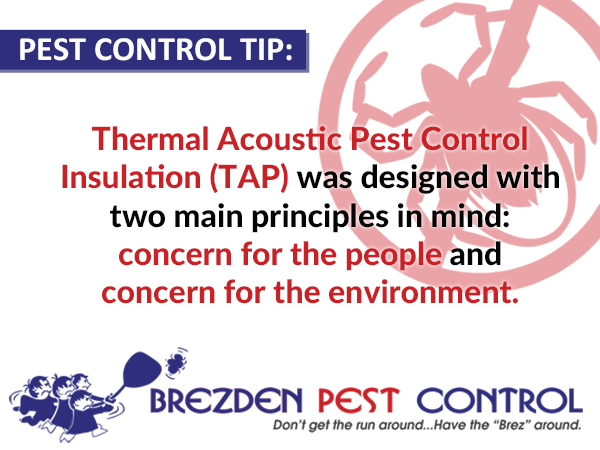 The cooler months are coming, so get your home ready for winter and the holidays with Thermal Acoustic Pest Control or T•A•P insulation from Pest Control Insulation Systems. This blown-in, eco-friendly cellulose insulation will keep bugs out and warm air in all winter long! Q: Can we keep pests from getting into our house once the weather turns colder? 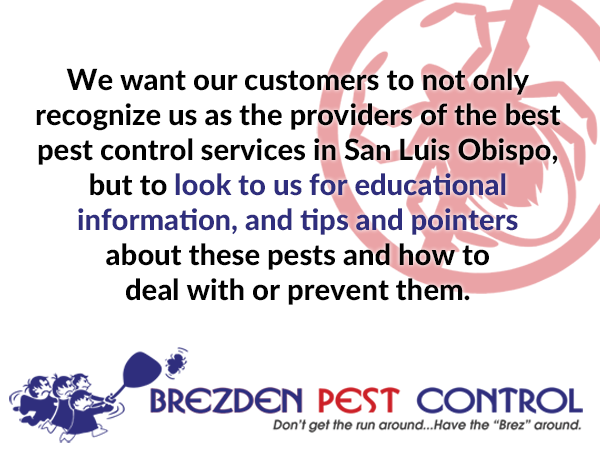 A: First make sure there are no pests already inside your home with a pest inspection from Brezden. Then place a barrier between the warmth of your home and the outside by spraying thoroughly around the perimeter with a pest repellent. If you don’t feel comfortable doing this on your own, our local pest control company can safeguard your home with ant control and rodent control safeguards. Gobble Wobble: November 26, 8am-12n, at the Laguna Lake Golf Course. Get your Thanksgiving Day started with a 2.5K/5K Fun Run or Walk. Fun run begins at 8am, jog/walk begins at 9am. Share in the community spirit and start the day’s festivities with fun. A benefit for the SLO Food Bank. Bring in a non-perishable item on day of the event for a free child entry. Santa’s House Opening Day: November 27, 10am-7pm. SLO Downtown Association presents Santa’s House in Downtown SLO in Mission Plaza. Every child that visits with Santa will receive a candy cane, toy and coloring book at no charge. It is $5 to take a picture with your own device, $7.50 for a souvenir framed photo, or $11 to take your own photo and receive a souvenir framed photo. Santa’s House runs through December 24. Central Coast Craft Fair and Boutique: Friday November 27 from 10am-4pm and Saturday, November 28 from 9am-4pm at Veterans Memorial. Over 130 vendors offering a wide variety of handmade treasures. Free Door prizes, complimentary cider and cookies set the mood for this special event.